Mountain is a theme developed by PSDCenter. The aim of this theme is to bring you awesome experience of theme creation on lightspeed. With this theme you can easily express a unique brand identity. Partially due to this, the theme can be used for multiple purposes. With a wide range of options to provide your lightspeed webstore with a professional image, this is the perfect theme for your brand. In order to install this theme you need to log in to the lightspeed BackOffice. In your store admin, go to App Store Tab: Theme’s. Find the theme “ Mountain” and click on it. Once on the theme page click the blue colored “Buy theme” button. Follow the instructions of the installer to install the theme. These are the Themes important settings of Theme's to manage some section on the store. Reviews : Enable Reviews functionality on store products. Newsletter : Enable Newsletter section on above Footer area. Brands : Display Brand link in Navigation menu. Tags Homepage : Displays Tags List on the Homepage Left sidebar area. No. of products in category : Show / Hide Product count on homepage categories list. Kiyoh : Enter Kiyoh Shop ID to Activate widget. Loyalty Lion Key : Enter Key for Your Loyalty lion app to Activate this feature. 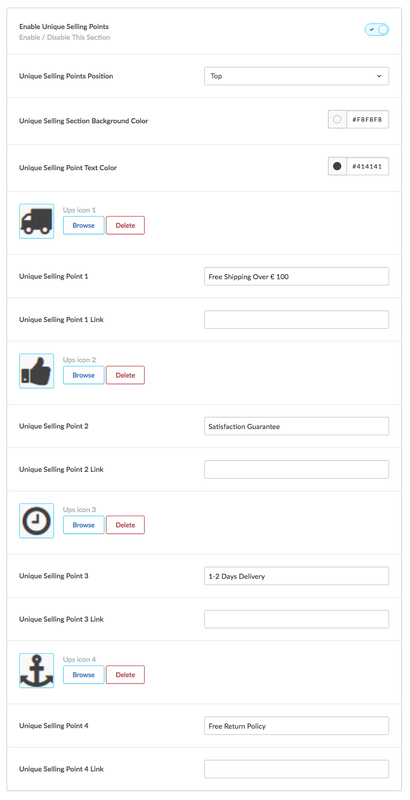 Yotpo : Enter Yotpo Key to enable The Yotpo review feature to store. It'll disable the default review features. Feedback Company : Enter widget ID to enable Feedback Company widget. Show Fulltitle : Display the fulltitle of the Product Name. By changing and applying color value to each option you will be able to change the look and feel of the store as per your requirement. 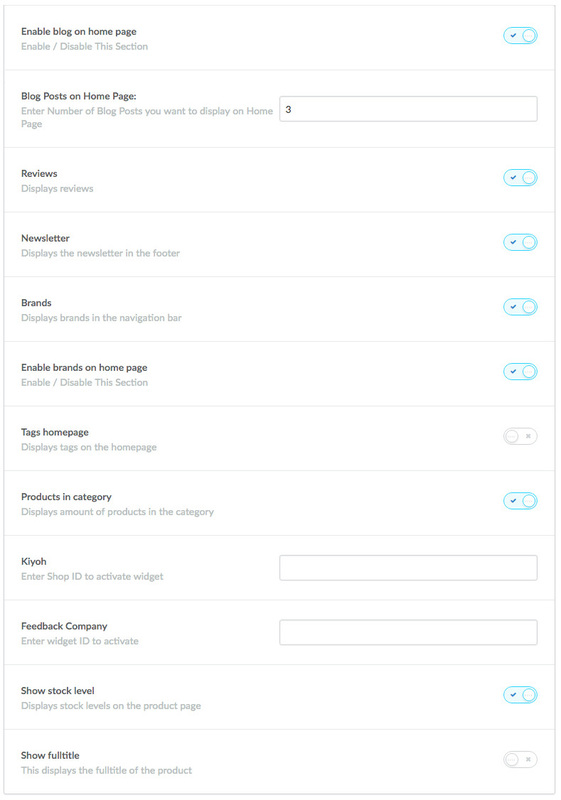 So in this section you will be able to apply all the general settings to your store. 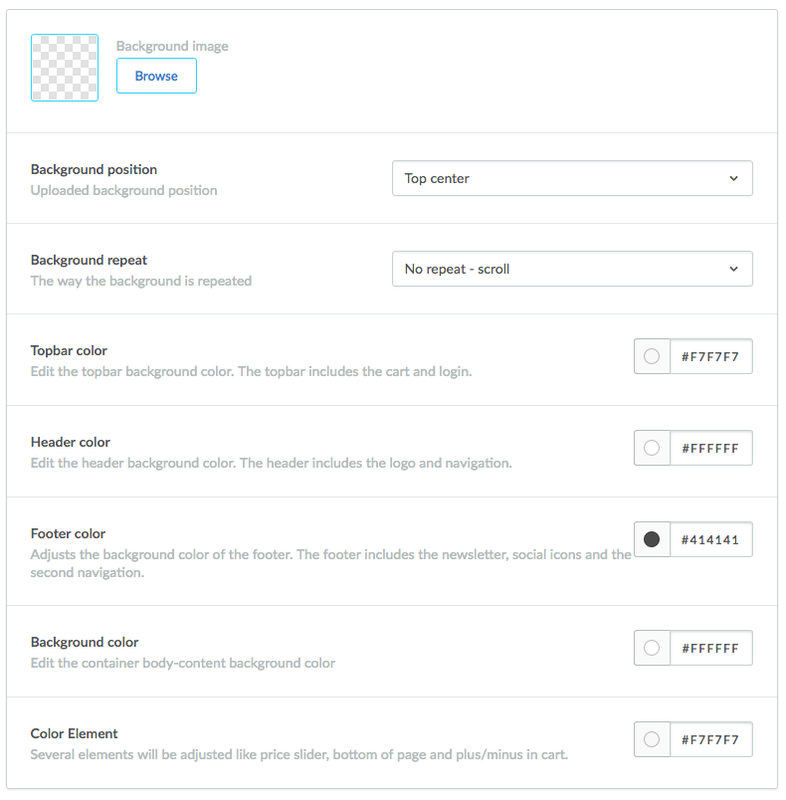 We have created one section called "Background", In this section you will find all the settings related to background so you can adjust the background colors, positions, etc on your website. 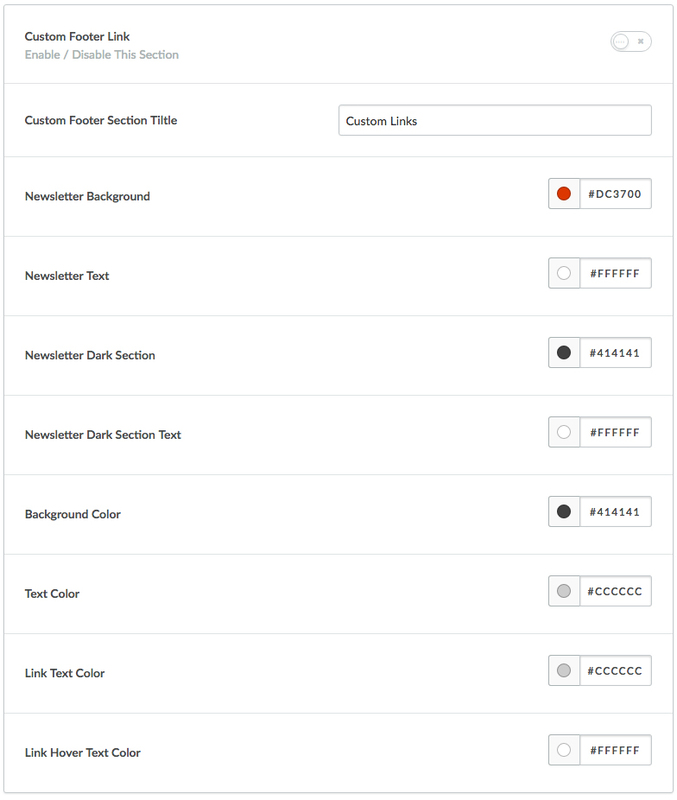 Here you have a settings for the Background color, element's color, buttons color, Main/Top Navigation color, Elements Hover color, Product Box Color, Sidebar widget, etc. Logo : In this section you will be able to make all the logo related changes. You can upload your custom logo here. The Recommended size of the logo is 180px (width) X 60px (height). Logo Position : You can change the position of the logo as per your requirement by selecting left, center or right option as per your needs. Favicon : Here you can upload your favicon icon. These banners will display below the image carousel. Unique Selling Points * link :Link for USPs *, Leave blank if you don't want the link. This is one of the best key feature of this theme, here you can specify the contact details, so your customer can easily contact you. 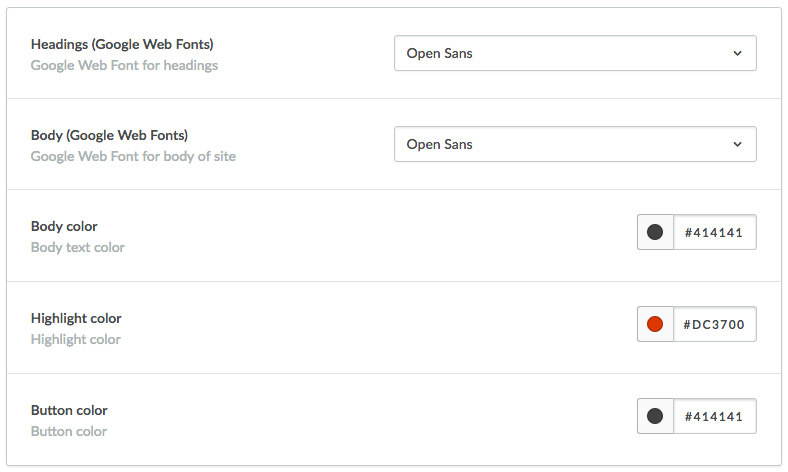 Once you fill all the details in this section, it will display under footer section. Here you can specify your contact name, either it could be your store name or it could be your name as well. Then in the next field you can add a short description, where you can provide some brief about your store. You can also specify your contact details like, phone number and email address, so users can keep in touch with you. Using this featured you can set the image to be fit into the box. You can enable it by clicking the check box. 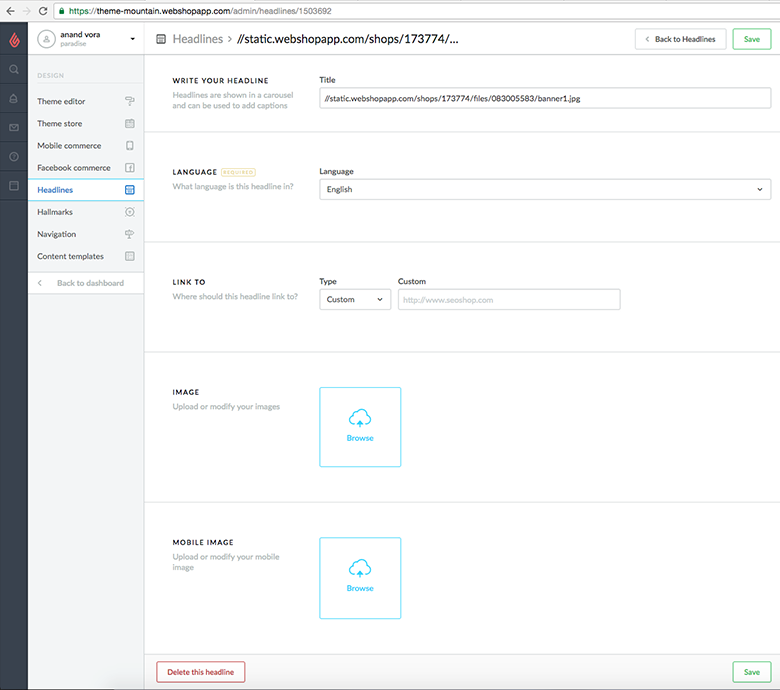 This option is available for product image, category image and brand image, so you can enable or disable the setting each section. You can add social media icons in this section. You can add social media urls for each social icon in order to display theme on header section. 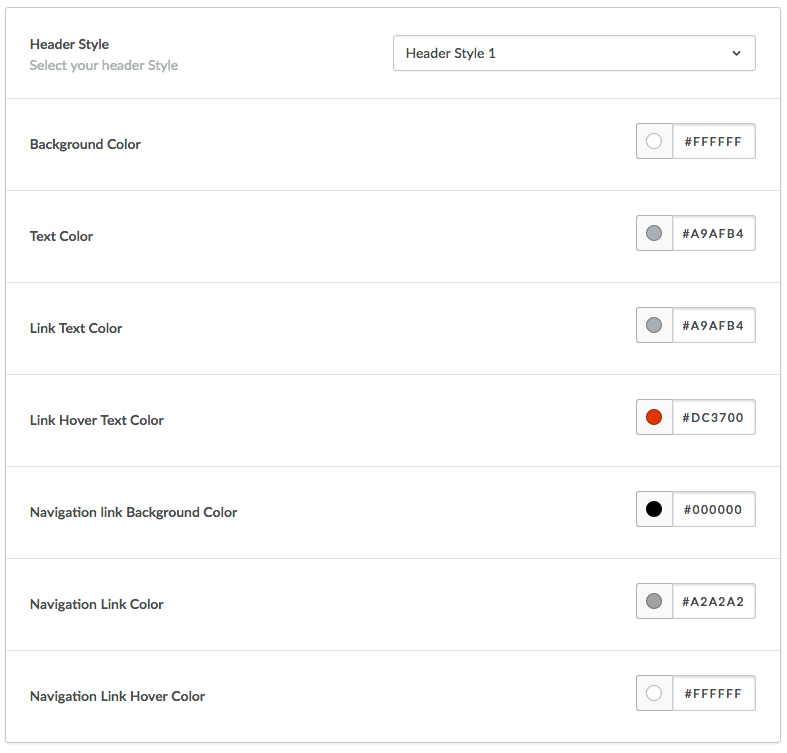 Here you have a option to set the style for the Home slidershow. You can always comeback to default setting, simply by following below steps.